Watch for cost effective ways to double your Online business exposure. Get your FREE business listing on ArizonaBusiness.com, Arizona's most recognized online business directory exclusively for Arizona businesses. Our website service include website design, hosting, and Search Engine Optimization SEO. Marketing your business online using social media can boost sales and drive traffic to your website. 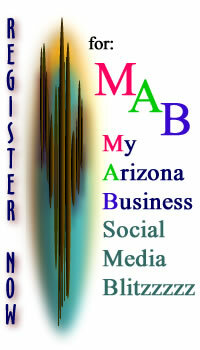 ArizonaBusiness.com, features social media marketing made easy. Check out your options to market your online business exposure with our marketing services. Be in the know with Business FYI, Social Media Tools, Find out about ArizonaBusiness.com past and present with features of Sponsored Events at the A-Z Business Network Group. Contact Us to learn more about becoming a Arizona Business Strategic Partner or Affiliate building our Online broadcasting to Arizona Business News Weekly TV, Arizona Business Radio, Arizona Business Real Estate News. 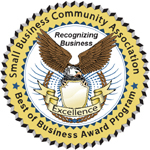 Small Business Community Awarded from 2013 through 2016 Best of Business Award for Internet Marketing Services.